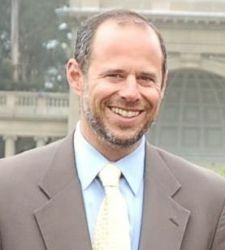 SF Taxi Media: Ed Reiskin To Be Named MTA's New Chief. The SF Examiner, the Chronicle, and others, are pointing to Ed Reiskin, former director of Public Works, to be named the MTA's new executive director and CEO Thursday. Reiskin will replace outgoing Nathaniel Ford who left under pressure from directors. Debra Johnson, director of Administration, Taxis, and Accessible Services filled in during the interim. According to SF Gate, Reiskin has agreed to a three year contract at a salary of $294,000 a year. That's said to be $15,000 less than Nathaniel Ford's base salary. He is scheduled to begin August 15th. CLICK HERE to read SF Gate's article by Rachel Gordon. CLICK HERE to read the SF Examiner's article by Will Reisman.